Mary Poppins is my favorite nanny, and extra special because Mary Poppins was the first movie I ever saw in a theater. While her “spoonful of sugar” certainly held the pixie dust to make the medicine go down smoothly, here is a list of some other practical supplies that should be found every caregiver’s closet. 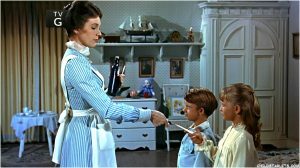 Ten Things I Learned About Caregiving From Mary Poppins	Happy 35th Anniversary, Epcot!